When do you use HDPE versus LLDPE? The chart below will explain which liner works well where. Below are geomembranes suited to a variety of projects that require heavy duty liners. 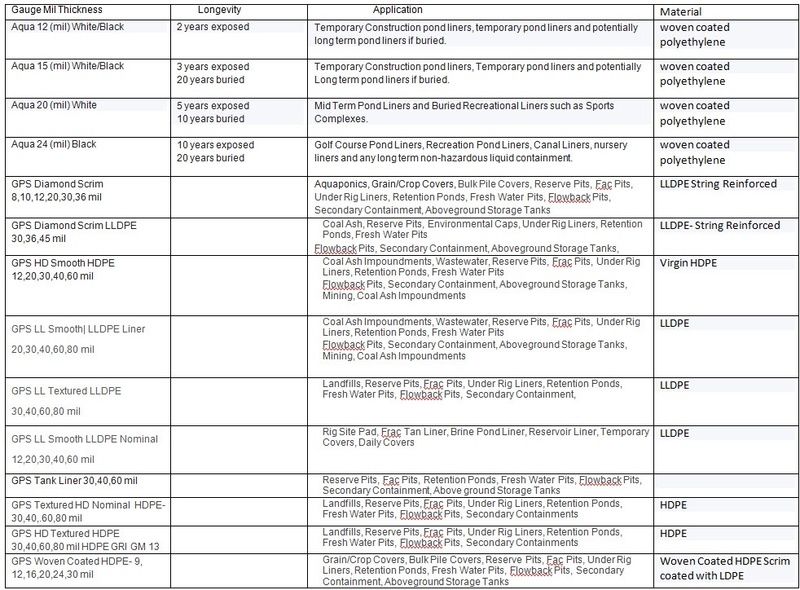 Most are made from HDPE (polyethylene) but some are polypropylene, PVC and Elvaloy.